We’ve had our hopes up almost insanely high for the possibility of a brand-new Ford GT, and that’s usually a recipe for extreme disappointment. When your expectations are in the clouds, is it ever possible for the actual product to deliver on a level tantamount to what you think it will be? In the case of the Ford GT, the answer is a resounding no, but that’s because it takes the expectations we had and overshoots it by a good couple hundred miles. Here’s what needs to be said: it’s rear-wheel-drive, has a mid-mounted engine, uses a next-gen twin-turbo EcoBoost V6 that generates more than 600(!) horsepower that gets mated to a seven-speed dual clutch, gets carbon ceramic brakes, and uses carbon fiber and aluminum everywhere. We’ll be needing a napkin now. And it’s stunning. It’s absolutely, unequivocally stunning. 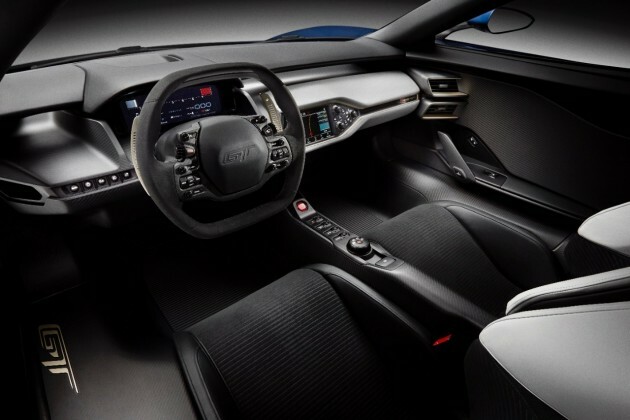 Arguably, the biggest surprise here is the extensive use of carbon fiber, which Ford says will grant the GT with one of the best power-to-weight ratios for a production car. The GT will feature a carbon fiber passenger cell and aluminum front and rear subframes wrapped in carbon fiber body panels. Basically, it’s your dream car rendered real and with a Blue Oval slapped on the front. 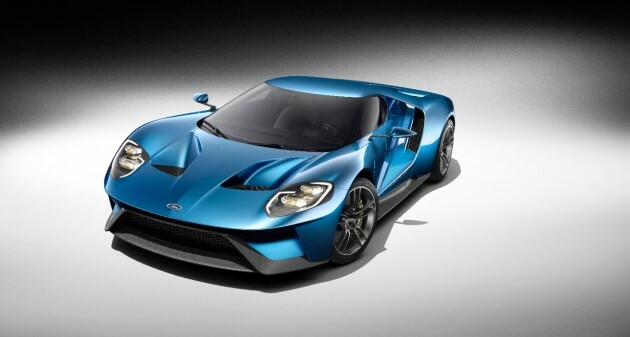 Just as surprising: the engine mounted in the middle of the Ford GT will be the most powerful EcoBoost ever built for mass production, based on the twin-turbo V6 that Ford used to win three races in its debut campaign for the IMSA TUDOR United SportsCar Championship. The best part: Joe Hinrichs, Ford president of The Americas, told the crowd at Detroit that we can expect Ford to begin making the new GT “next year.” Stay tuned, folks.